You can view the AP Computer Science Principles syllabus here https://codehs.com/syllabus/apcsp_syllabus. 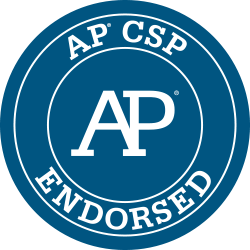 Our AP CSP course is pre-approved and endorsed by the College Board and can be submitted with the pre-approval ID 1667172v1 . You can find instructions on how to submit the pre-approved CodeHS syllabus for your AP course audit at https://codehs.com/apaudit/apcsp.